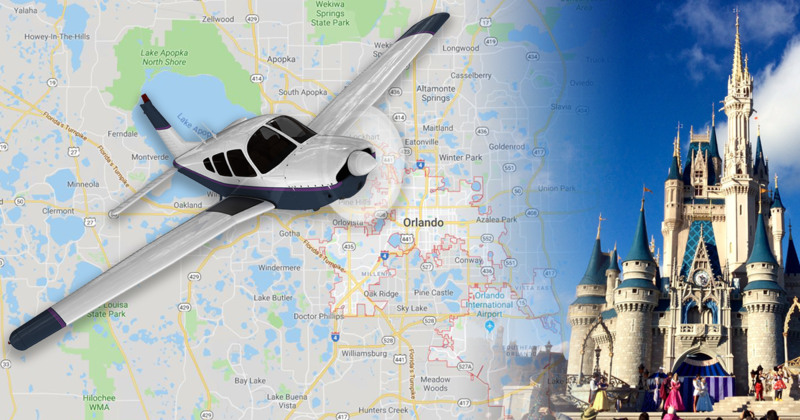 The passenger instructed the pilot to descend to a lower altitude for a closer look at the construction of the new interchange connecting Interstate 4, the state’s east-west artery, with the north-south Florida Turnpike. It was a momentous day that would be followed by the purchase of more than 27,000 acres of land—equal in size to the city of San Francisco—­for the most ambitious and expensive business investment in Florida’s history. The passenger in the plane was Walt Disney, animator, entrepreneur and builder of worlds. The runaway success of his Disneyland theme park, which opened in 1955 in Anaheim, CA, masked two nagging problems with the property. It was essentially landlocked with little room for expansion, and it was only drawing people from western states. Less than three percent of Disneyland visitors were from the eastern half of the country. Disney wanted another park as big as his dreams, with plenty of land in a warm-weather state to serve the 75 percent of Americans who, in the late 1950s, lived east of the Mississippi River. Disney World, located near Orlando, FL, opened October 1, 1971. It consisted of one theme park, the Magic Kingdom, which attracted more than 500,000 visitors its first year. By 2018, Disney World was hosting 52 million visitors annually. The site now comprises four theme parks, two water parks, three PGA golf courses and a camping resort, which together total an estimated $18 billion in market value. Disney had an eye for real estate. But his eyesight was no match for his vision, which saw the wonder and curiosity of the inner child living inside every toddler, teenager, Mom, Dad and grandparent. His genius was creating experiences where the inner child could come to play and imagine a world without limits. In 1952, Disney formed an engineering division that would eventually become Disney Imagineering, the creative force behind the company’s theme parks, resorts, attractions, cruise ships, stores and entertainment venues worldwide. Imagineers are the talented people who magically merge art and science, turning fantasy into reality. But their real skill is storytelling. The current market value of The Walt Disney Company is a staggering $170 billion. It’s a storytelling, story-selling juggernaut. What Does All This Have To Do With Certification and ATP? 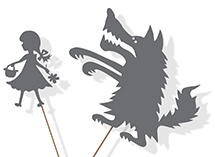 If you’re a certification sponsor, you’re telling a story, whether you intend to or not. And your prospects are telling themselves a story about what your certification could do for them. What if your certification story fueled their certification story? Well, by our estimation, that’d make you a rock-star Imagineer for your organization. At a workshop in 1999, Mickey Steinberg, vice president of Disney Imagineering, gave a presentation that later became known as Mickey's Commandments. Wear your guests' shoes. Experience life from their point of view. Organize the guest experience. Simple is always best. Tell one story at a time. Focus on the Big Idea. Make it crystal clear. Avoid overload. Big Idea first, details later. Visuals tell stories better than words. Maintain story purity. Anything that doesn't add, subtracts. Keep evolving. Don't let your message go stale.You have many stories to tell. We have two books in production that we’d like to give you. We think they're worth a staggering $170 billion. But you're getting them for FREE. One teaches proven and innovative certification-marketing strategies. 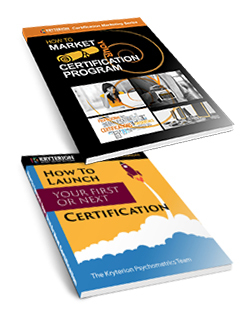 The other, written by the Kryterion Psychometrics Team, shows smart ways to launch your first or next certification program. Come by Booth 514 to claim your books. Fill out a card that simply asks for your name, business and email address. Takes 23 seconds. We timed it. We’ll send you an email with the date for our upcoming 30-minute webinar on launching/relaunching a certification program. Attend the webinar, and we’ll send you the books. Done! Wait…we're not exactly done yet. While you’re in Booth 514, ask one of our sales professionals about Webassessor, our award-winning, test-development and test-delivery platform that simplifies and automates test registration, scheduling, payment, scoring, item-editing and so much more. We'd love to demo the software for you! See you in Orlando and welcome to the Happiest Place on Earth...which many consider to be Booth 514! If you're a program manager or certification stakeholder in any sense, this plain-English presentation on the laws of certification success—and the consequences of ignoring them—will reveal the hard-won strategies and tactics for maximizing the impact of your first or next certification. See you at the presentation!